This month we are showcasing a newly updated WordPress website for another local enterprise in the Niagara region. 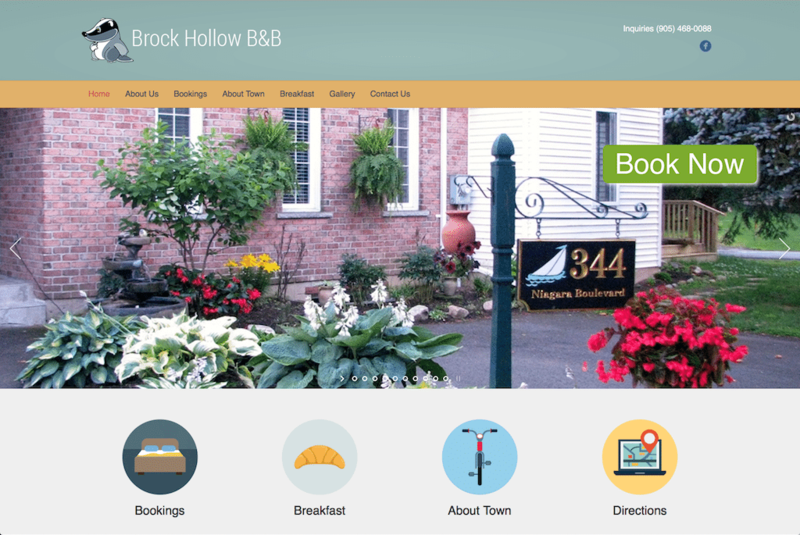 The website is for a local Bed & Breakfast - Brock Hollow. Brock Hollow Bed and Breakfast Niagara is the perfect rest stop for your stay in Niagara-on-the-Lake - consistently voted Canada's most picturesque town. We are located within walking distance of Lake Ontario, the Shaw Festival Theatre, shopping, world-class dining, Niagara wineries and the Niagara-on-the-Lake Golf Club. Open year-round, Brock Hollow is a non smoking, adult-oriented property with air conditioning and ample on site parking. Let hosts Marion and Peter Barwell make your Niagara-on-the-Lake getaway one to remember. The design of the site was jointly developed by the owners and PDRnet Designs. It was developed in WordPress and offers the ability to view availability of rooms and book directly through the website. So if you ever find yourself in Niagara-on-the-Lake and need a place to stay then we highly recommend you give Brock Hollow a try.